Ian Thackray is a writer and blacksmith. Although just 34, his hands tell a different story. Every crease and wrinkle is etched black, his fingers are cracked and marked his nails are stained the colour of charcoal. 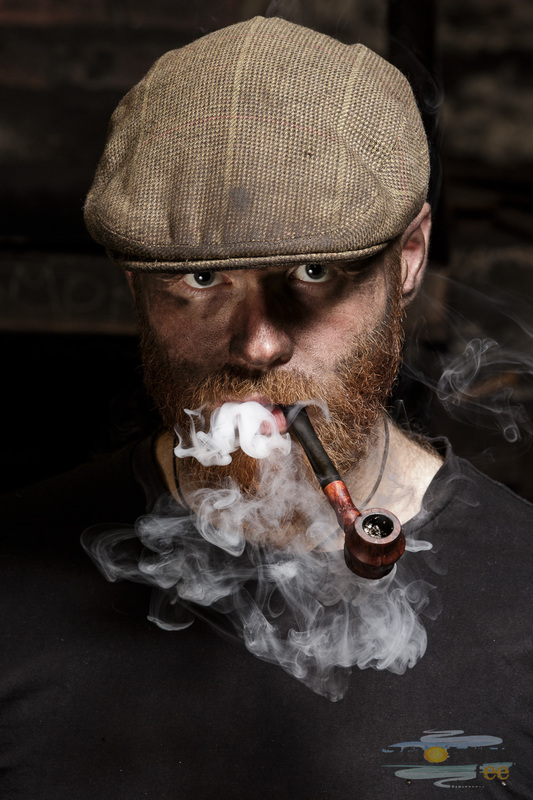 Ian is one of the new breed of people — thatchers, stonemasons, woodsmen, carpenters, charcoal makers — who are taking on the old traditional crafts and bringing them back to life. They are a tight-knit community of like-minds, who take pride in their lifestyle and crafts. Ian started blacksmithing in 2008, when he decided that office work wasn’t for him. He was sent by the job centre for a day at a forge and by the end of that first day he was hooked. After two years of training for his National Certificate in Blacksmithing with the great Master Blacksmith Michelle Parker, he had become consumed by his craft. He still is. Ian eats, drinks and sleeps blacksmithing. His passion is inspiring. 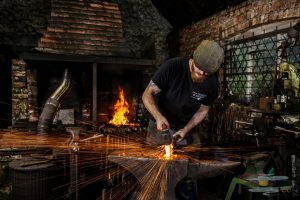 Ian now practices his craft at his forge in Dorset, The Village Smith, and is in huge demand for his beautiful and unique work. 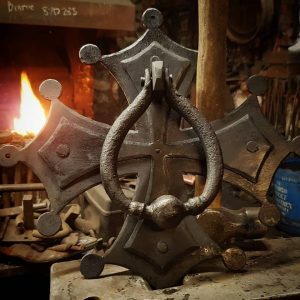 Recently he crafted new gates to Highgate Cemetery and made a sword and dagger from ancient iron for the author Tom Holland. Ian is an expert on ancient blacksmith techniques, which he demonstrates throughout the summer at country fairs and festivals. He is often called upon for historical recreations on television. In 2011, Ian was awarded a journeyman ship by the Princes Foundation and in 2013 he was awarded the Certificate of Merit by the Worshipful Company of Blacksmiths. He is represented by Trevor Dolby.